Welcome to Nirvana Farm. 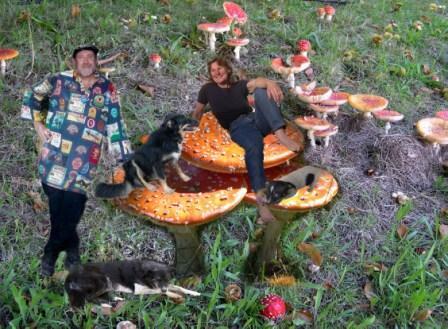 I am very pleased I can share my passion for our chosen lifestyle with you. The way the commercial crops are treated I like to describe as ‘garden quality farming.’ I like to see the combination of growing commercial crops, our own vegetables and herbs, composting, native habitat areas, poultry and our various gardens around the house and sheds all rolled into wonderful balanced and beautiful ecosystem providing the ultimate lifestyle. Nirvana is a 4.5 ha property, nestled in its own beautiful valley near Stirling in the Adelaide Hills. It enjoys a 1000 ml winter dominate rainfall. The property was purchased in February 1983. In 1983 the valley and surrounding hills consisted of 50 chestnuts and 80 walnuts. The remainder was impenetrable blackberries and broom with the lower areas waterlogged. The house garden was very neglected and overgrown. We formulated a 10 year plan to transform this degraded property into a largely self-sufficient, enjoyable, as well as viable lifestyle. . Biodiversity of this 4.5 hectare landscape is the key along with a diverse business base in making this property a success. Today, 29 years later, the main crops are chestnuts, raspberries, and 100 odd mixed fruit and berries, which are use to produce a variety of gourmet jams and preserves. 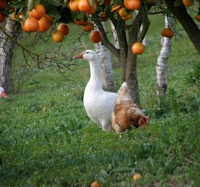 Geese graze the orchards and along with chooks provide the basis for our compost. The farm’s management system is based on the principle that a healthy, well structured soil rich in humus and high biological activity is a prerequisite for any sustainable agricultural system. 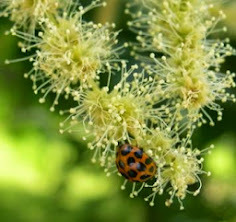 To achieve these aims the property is managed under biodynamic principles. 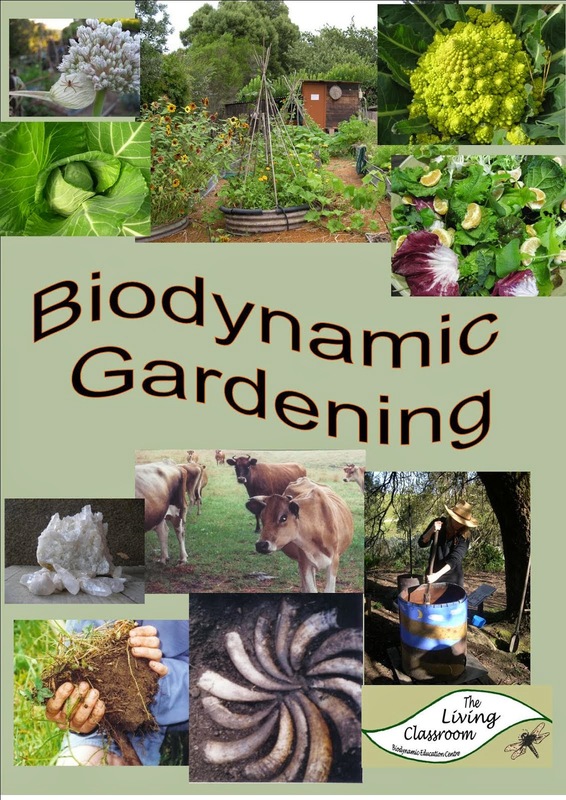 This is a method of farming or gardening that aims to treat the farm as a living system which interacts with the environment and links soil (mineral), plants, animals and humans. This process builds healthy living soil and produces food that nourishes and vitalises mankind. 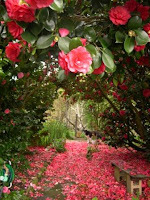 Perennial horticulture crops are the main enterprises. They provide long term stability to soil and environment. Permanent pasture covers all areas - living mulch which is slashed and grazed. 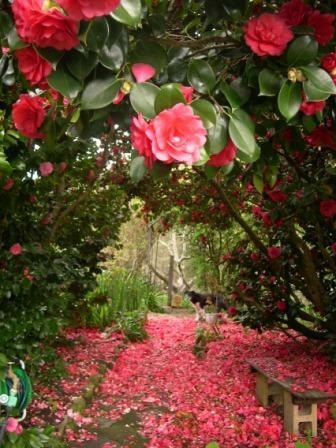 Nutrients are provided by pasture, clovers, mulch from mowing and compost made from on farm manures. Crops include chestnuts, walnuts, raspberries ,blackcurrants, red/white currants, English gooseberries feijoas, kiwifruit, plums. · Other fruits used in value added products such as citrus, apples, hazelnuts plums, medlar, elderberries, hops etc. 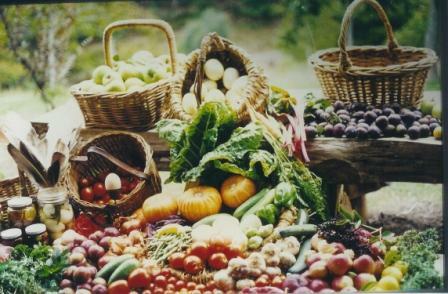 Once we have grown the produce, next step is to sell it.
. A small mixed farm has unique marketing challengers. It is not economic to send produce to market. Being near a large population, on a main road gives us access to customers. We have a small on-farm shop where we sell our fresh fruit in season. 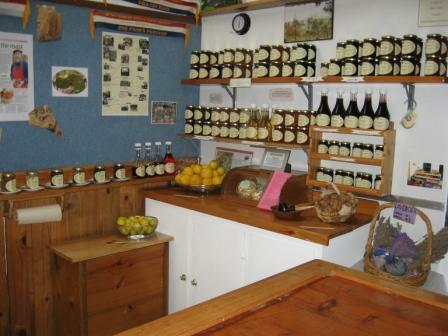 In addition we make a range of gourmet preserves from our fruit. Such as elderflower cordial, raspberry vinegar, Seville orange marmalade, medlar jelly, lavender jelly, plum and walnut jam etc., these are made on farm and available only from the farm shop. As there are many jobs to do around the place, we can’t be tied to the shop waiting so we have a radio controlled buzzer that can be wherever we are and to respond to the call. 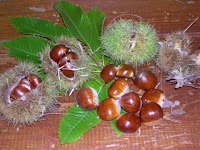 The strategy is to actively promote the unique qualities of purchasing fresh produce in season our catch cry ‘it’s only travelled 300 metres.’ Chestnuts are also dried so they are available all year .Hot Roasted chestnuts are available in Stirling during the season. 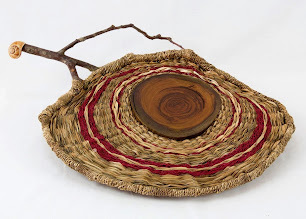 You will also find Deb’s unique natural fibre baskets and platters in the farm shop. A flock of 50 free range RIR chooks are run. Their main role is to produce manure with the bonus of eggs sold to manage their base inputs of their feed. All replacement birds are bred on farm and naturally hatched. The surplice males are eaten. 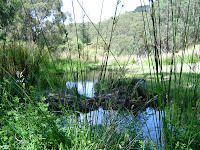 The valley contains many natural springs which form the headwaters of Scott Creek. A series of small barrage dams, surrounded by native vegetation to provide habitat, amenity, fire water and irrigation if required are spaced down the valley with the horticultural crops in-between. The creek flows all year and has been restored to contain a wide range of wetland vegetation including belechnum ferns, joint leaved rush, pale rush, broad leaved rush, square twig rush, carex, gahnia, pithy sword sedge, tanglefoot. Windbreaks, creeks and native areas balance the farm ecosystem by providing areas for native and beneficial birds, insects and reptiles. A Firewood forest was planted in 1987 to provide our own supply for cooking and heating. 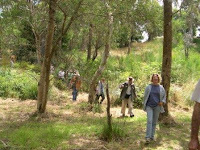 The area has developed into a wonderful little forest with the creeks, native shrubs and wetland plants visited by a wide variety of birds as well as koalas and kangaroos. In 2002 a friend & sculptor Evette Sunset, converted a stand of French Osier Willows that I had planted near the forest to supply basketry materials, into a living yurt that changes with the seasons. For me it is focal point to sit and think and be inspired by the water, birds and frogs. 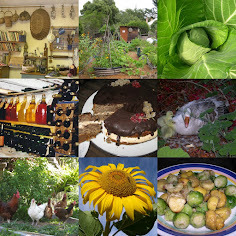 The annual and perennial vegetable gardens and tunnel house provide fresh produce all year. They are designed to produce a steady supply of top quality produce with minimum work. The basic features are permanent raised beds – the soil from the pathways was used to build the beds. The beds are enriched with our own biodynamic compost and treated with the full range of biodynamic preparations. The resulting soil tilth requires minimal effort in cultivation; weeds are easily hand pulled, soil raked and seeds planted. 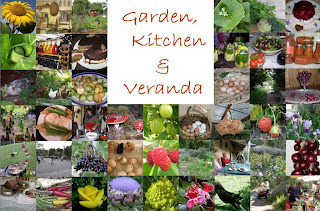 After working all day in the orchards it is time to retire to the veranda or various parts of the garden to relax or explore natural basketry techniques all the while being aware of the beauty and diversity of the life around us. 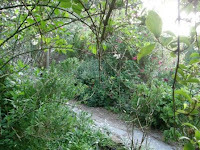 The chook hardy garden is dominated by trees and cottage plants that cover the ground to reduce weeds. Snuggled into the garden is the ‘Witch’s Lair’ Debs shed for basketry, listening to music, hatching chicks or sorting seeds where the winter sun warms the space while watching over the garden and orchard. In summer it provides a cool afternoon retreat. Along with us, relaxing in the garden you will generally find the dogs, the geese grazing the lawn and the hens enjoying a dust bath, turning over the mulch and putting it all over the path or training their chickens to roost in the camellias .A large array of creatures make their homes in the garden .Native birds like eastern spinebills, new holland honeyeaters, flame robins, firetails, magpies, fantails or a kookaburra or two along with insects, including dragonflies, butterflies, bees, hoverflies to mention a few.